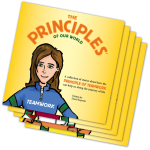 The Principles of Our World book series is designed to introduce children to the importance of principles like honesty, teamwork, and courage. Each book’s main character, like The Principle of Sacrifice, Hope, and Compassion, is illustrated specifically to visually interest children in the book’s content and to assist parents and educators in sparking conversations about real-life issues. All of the books support and encourage children to make more effective decisions in their everyday lives. The Principles of Our World book series helps to build and strengthen character—and Character Creates Opportunity® to reach our hopes and dreams. Tillywig’s mission is to provide retail buyers, news media, parents, and consumers with product information and reviews of superior children’s products available in today’s marketplace. The Tillywig Brain Child Award is given to exciting products that energize the mind while seamlessly blending fun and learning—an endorsement of excellence that is recognized by both consumers and retailers of children’s products. The Principles of Our World book series is perfect for parents and educators wishing to introduce young children (age 4+) to the importance of character and principle-based decision making. The books are also ideal for young independent readers (age 7+). The books are available online at Amazon.com and through a growing number of retail stores. Harvest Time Partners, Inc., a rapidly growing personal- and professional-development company, was created almost 20 years ago to provide support to individuals, families and organizations on a variety of topics and subjects encompassing personal and executive development, team building, leadership training, and building a strong marriage and family. 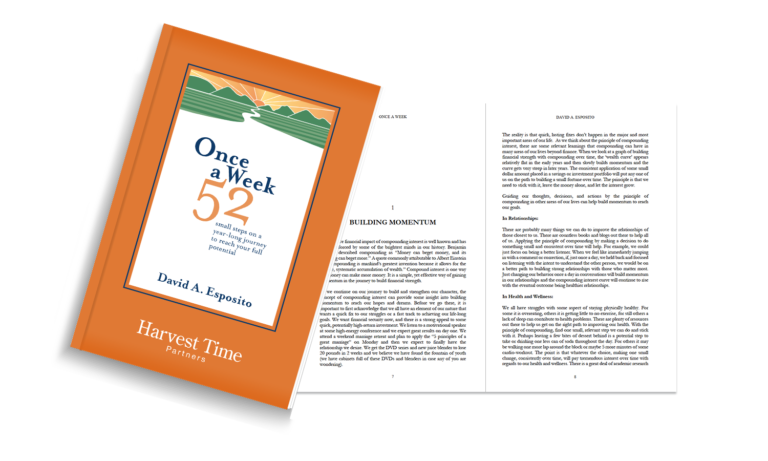 Harvest Time Partners provides character-building seminars, workshops, and custom programs designed to increase personal effectiveness, enhance character development and strengthen the bonds of marriage and family. For more information, visit https://www.harvesttimepartners.com. Tillywig Awards provide retail buyers, news media, parents, and consumers with product information and reviews of superior children’s products available in today’s marketplace. Tillywig supports a rigorous evaluation process where products are used by a number of testers in an observed focus group format. Product testers and observers come from all walks of life and a broad range of ages. The full list of winners is posted online at www.tillywig.com.